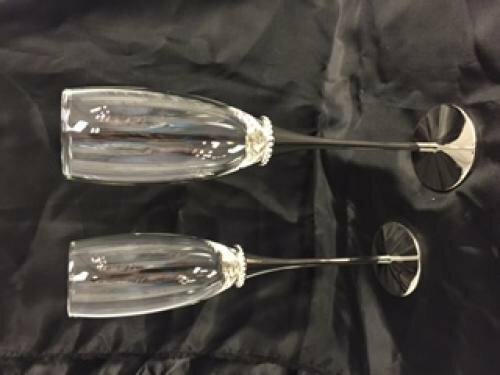 Glass Toasting Flutes with crystals perfect for your wedding! 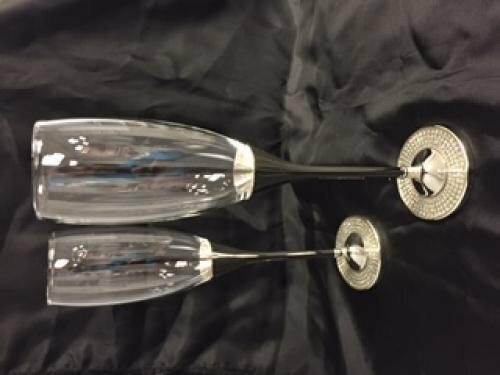 pricing includes engraving on both flutes. 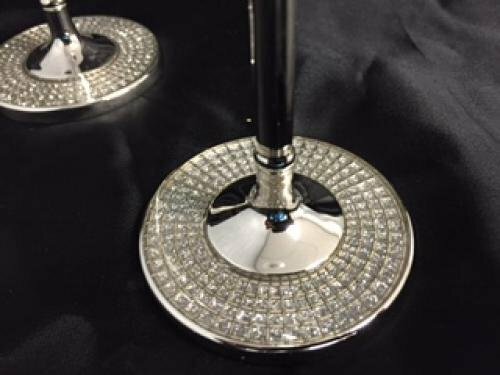 Glitter Galore Toasting Flutes with crystals in base perfect for your wedding!